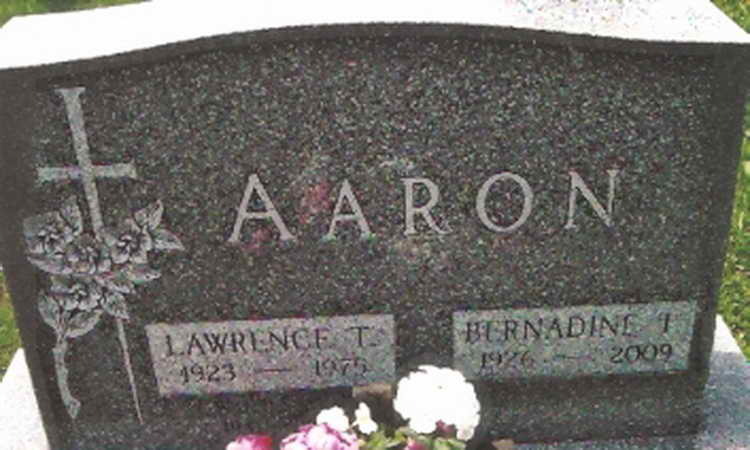 Grave marker for Lawrence T. Aaron in the Saint Michael Catholic Cemetery, Fryburg (Clarion County), Pennsylvania. Lawrence enlisted in the Army at Baltimore, MD on 27 October1942 and joined Company E of the 508th PIR which had been activated just 5 days earlier. Sgt Aaron parachuted into Normandy on D-Day and was wounded in action on 5 July 44. He was recuperating in hospital until 23 September 1944 and therefore missed the Holland jump which had gone off on the 17th. It is unknown whether he participated in the Battle of the bulge in December.